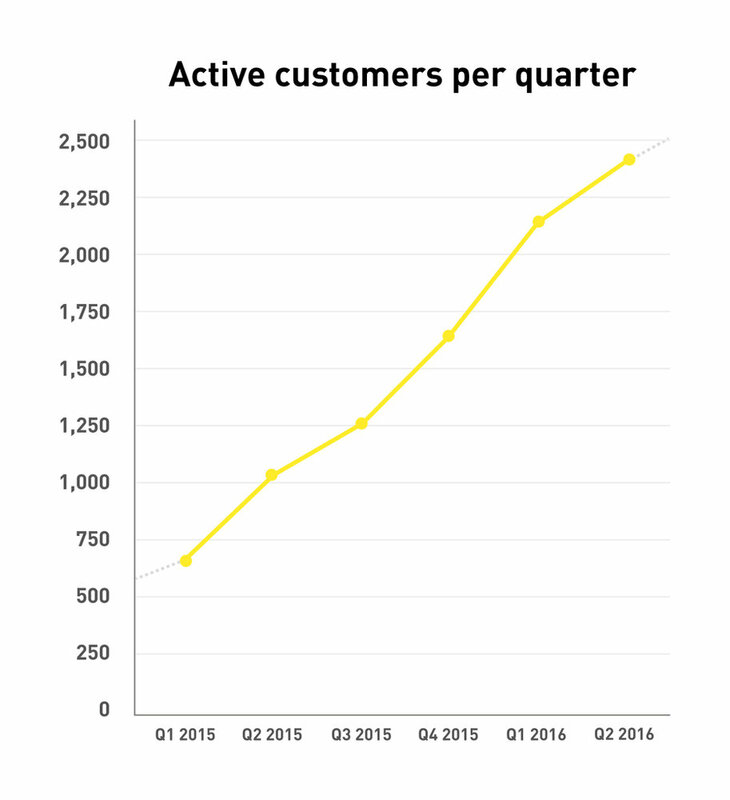 Michiel Langezaal, CEO Fastned: “We look back at a half year in which we continued exponential growth of our revenues, kWh (volume) delivered, and the number of registered customers. 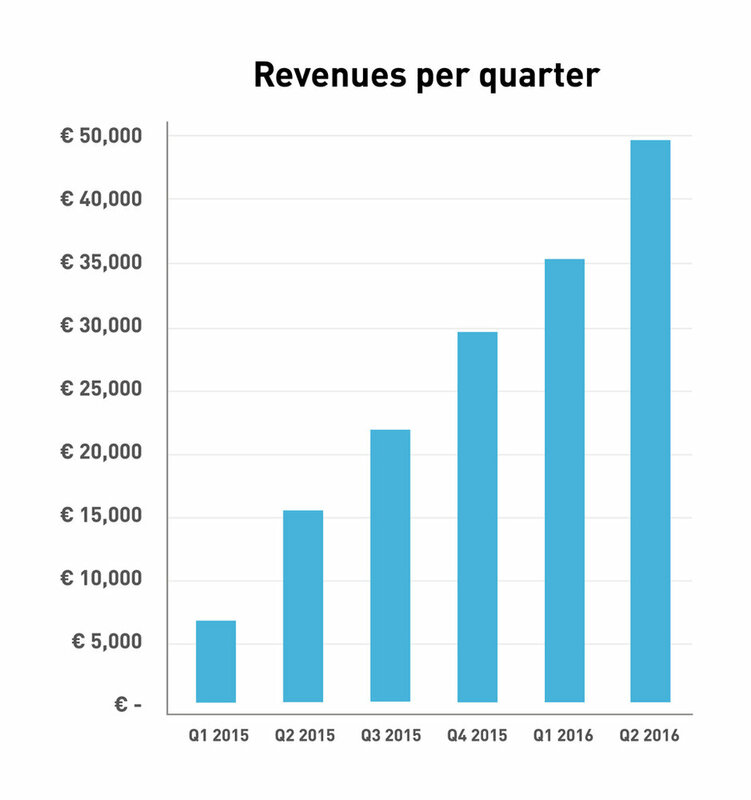 In the first half of 2016 revenues grew at an average rate of 10% per month, volume grew at an average rate of 11% per month, and the number of registered customers grew at an average rate of 7% per month. Because no new stations were added during this half year, growth was entirely driven by more customers, who charge more often and longer at the existing stations. This autonomous growth proves our relevance to EV drivers based on network coverage (50 stations operational), extremely reliable service (99.99% uptime per station) and transparent, attractive pricing. We also connected the charge cards of providers such as The New Motion and EV-Box to the Fastned app. Finally, we have effectively doubled our market by installing Tesla adapters at all our stations. 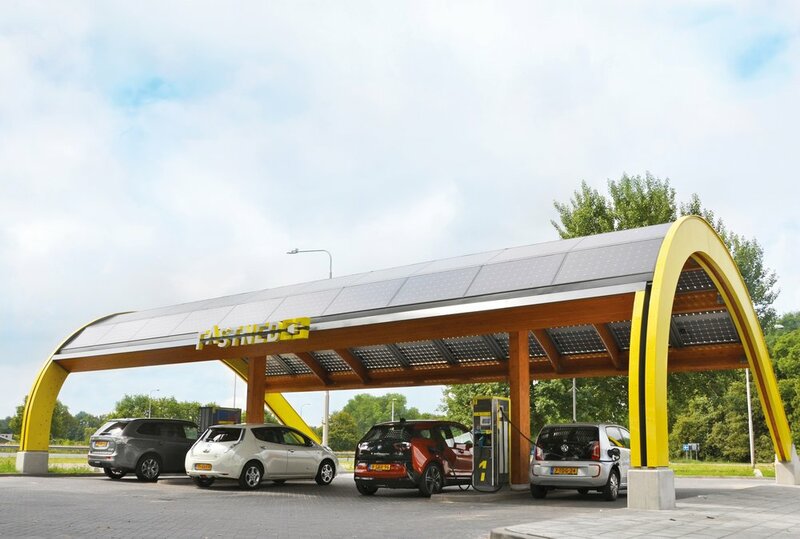 Where Tesla's could previously charge at 11kW to 22kW, they can now charge 50kW at Fastned. 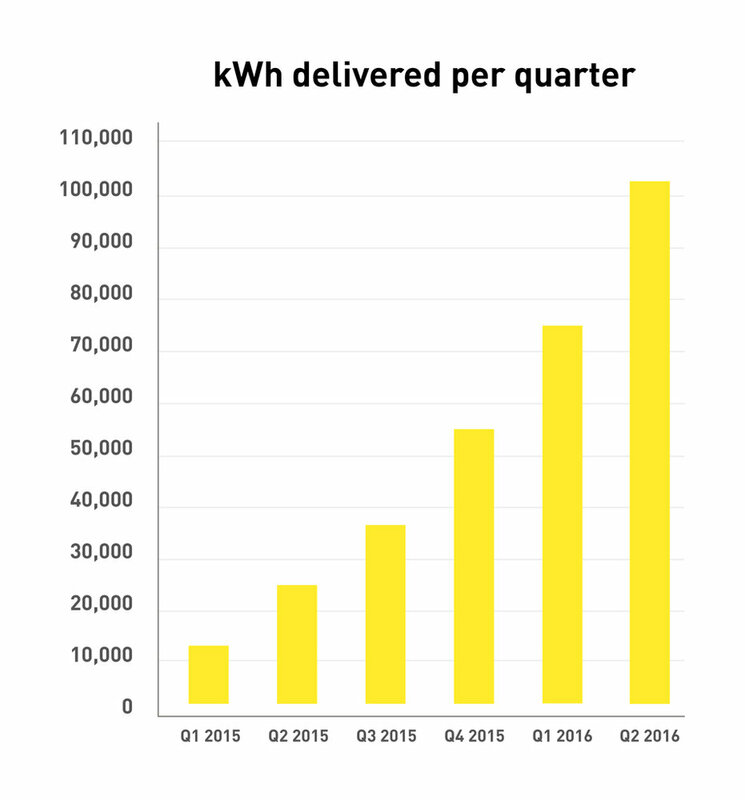 Because of this, we see the number of Teslas at our stations increase significantly."